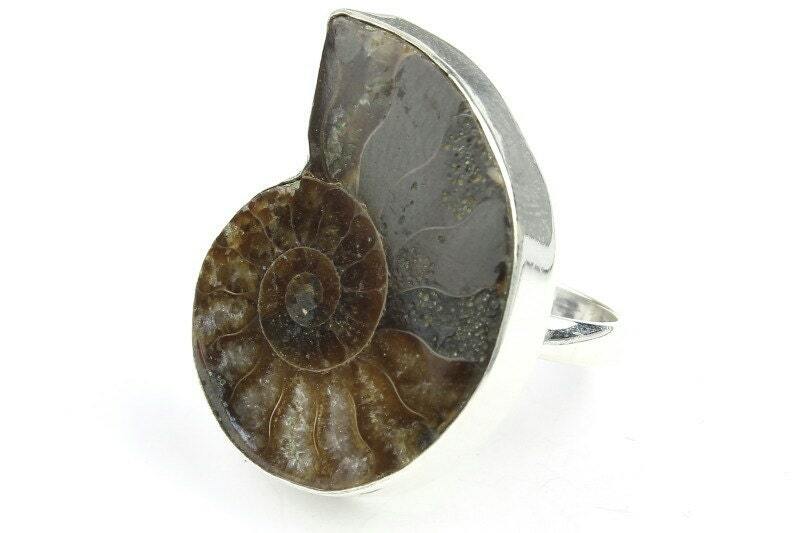 Ammonite fossil set in simple sterling silver setting. Ammonite is a fossil of an extinct marine animal living millions of years ago. Named Ammonite after the Ammon a Egyptian god because the shape resembles his ram horns. 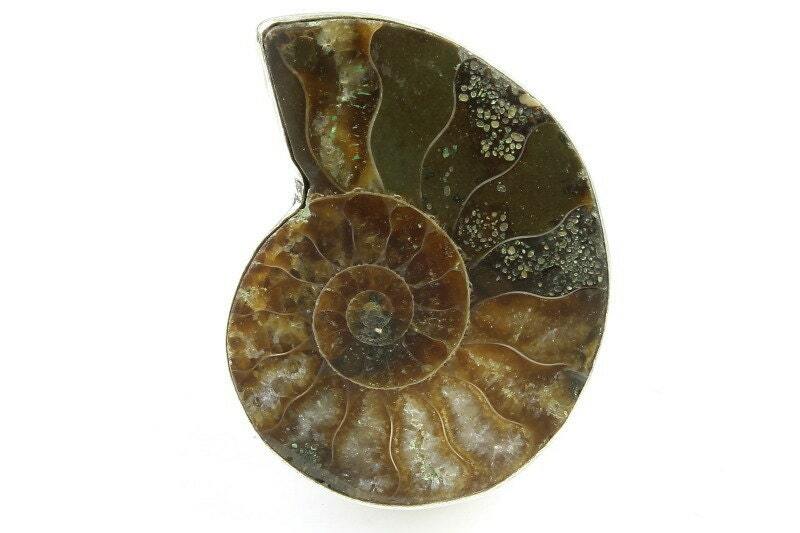 Ammonite radiates positive Earth energy. Fossils represent time and eternity and when wore are believed to increase the life span. These fossils are genuine and are made in nature, each piece is unique and may vary slightly from what is shown.